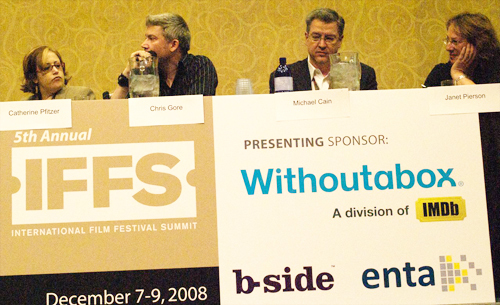 The fifth edition of the Summit relied on the participation of important film festival representatives from Sundance, Tribeca, Sarasota, Milán, Cannes, Los Angeles, San Diego and Atlanta, among others. 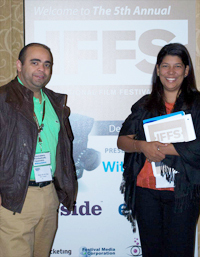 DRGFF was represented by Technical Director, Omar de la Cruz, and Local Production Director, Yamile Eusebio, who presented the Festival and exchanged ideas with staff members from more than 50 international festivals. 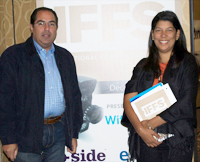 The IFFS program was comprised of master conferences and panels led by important figures in the world of film festivals on topics such as year-long planning, budgeting, establishing a consultative board, strategies for marketing and obtaining funds. The Dominican Republic Global Film Festival, an initiative of Global Foundation for Democracy and Development (GFDD), and its sister institution in Santo Domingo, Fundación Global Democracia y Desarrollo (FUNGLODE), presents a selection of the best of international dramatic and documentary film to the Dominican Republic, enriching the cinematographic culture of the country by bringing the seventh art to all sectors of Dominican society. The Festival contributes to elevating awareness and comprehension of global issues through stories about events and people that have impacted our lives, and uses film as a vehicle to foster discussion about social, political and economic concerns.